The act of getting beaten, humbled, and over-powered by Madison Bumgarner. Currently the term is only applied to feats of strength, will, and determination by the San Francisco Giants left-handed pitcher. In the future linguists and semioticians agree that it is likely the term will apply more generally to those who have met a superior physical and psychological force and who were overcome by an awesome display of the will to win, be that at baseball, chess, or arm wrestling. After an 18 inning marathon in which both teams used every pitcher in their bullpen, the Giants relied upon their ace for innings. Madison Bumgarner delivered in inspiring fashion. In fact, before the game he walked into Bruce Bochy’s office and said he could throw 140 pitches. This is why Madison Bumgarner is one of, if not the single favorite ballplayer of mine ever. Keep in mind I have been watching baseball for 42 of my 51 years. Madison Bumgarner is more than a champion. He is also a self-less competitor who always puts his team first and is willing to take the necessary lumps and bumps, bruises and exhaustion so his team can win. There is no need to cite the 2014 World Series, the 2016 Wild Card game, the 2014 Wild Card game. We, and the entire world of serious Major League Baseball fans, remember those games. Yesterday the Colorado Rockies were Bumgarnered. 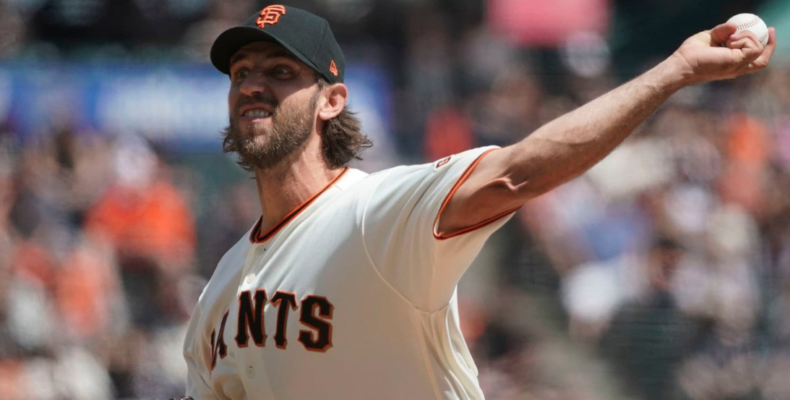 Yesterday’s was a special win precisely because MadBum, who was winless taking the mound in the first inning, shut down the Rockies for most of the afternoon. He was more than effective. He was more than an innings-eater. He was dominant, till he ran out of gas in the top of the eighth inning. His seven innings of work with seven strikeouts, no walks, only six hits and NO complaints about borderline calls, made this a statement game that will be added in the massive tome, he the Giants ace, is writing. It’s called “The Legend of Madison Bumgarner.” It’s not finished yet. I want to get an autographed first edition as soon as it is published. Kevin Pillar of Strength homered again. The former Torontonian comes to Willie Mays Field and acts like he owns the place. He is playing gold glove center field. He is homering left, right, and center, driving in huge runs. “Pitcher’s Park?” Nah, For Mr. Pillar of Power, Willie Mays Field might as well be Fenway or any other AL East bandbox. He is putting the Giants veteran core hitters to shame with his run production at key moments. Without Mr. Pillar the Giants might have three less wins on this homestand. Did you know the Giants now lead the Majors in Defensive Runs Saved? It’s true. Mr. Zaidi’s acquisition of our new center fielder has paid many dividends. The Giants infield is pretty darn good too. Even the backups like Yangervis Solarte look mighty proficient with their gloves. Kudos to Reyes Moronta for a huge 8th inning, stranding a Rocky who hit a lead-off double with the Giants up 3-2. That was one of the key moments of the game. Today, the Giants are primed for a sweep of the dreaded Denverites. German Marquez of the Rockies faces Derek Holland. First pitch is at 1:05 Willie Mays Field Time.